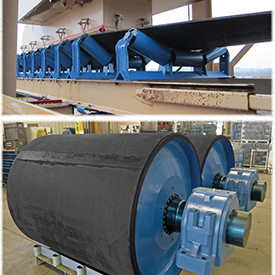 Luff Industries Ltd. has been increasing the performance of conveyor systems for over 38 years. Luff conveyor components can be found in a variety of industrial material-handling applications around the world. Berlon Industries’ buckets for skid steers and compact wheel loaders allow operators to safely and efficiently remove debris build up under conveyor systems.